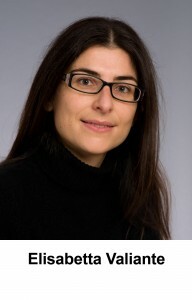 Dr. Elisabetta Valiante from The School of Physics and Astronomy has been interviewed for the “May Extra” episode of the Jodcast – a long-running astronomy podcast produced by staff and students at Jodrell Bank. You can listen to the whole episode, or just Elisabetta’s interview. During the interview, Elisabetta explains what questions astronomers are trying to answer with the Herschel Space Observatory surveys and how galaxies evolve. She also explains what the roles of gas, dust and Active Galactic Nuclei are in galaxy evolution. As a member of the H-Atlas collaboration: Elisabetta gives insights about about how a big collaboration works and what the steps are to go from the data collected by the Herschel satellite to the creation of a catalogue of galaxies. The interview ends with a peek at the future of Herschel surveys and research in galaxy evolution. Don’t forget, if you like astronomy podcasts, you can also listen to our own Pythagorean Astronomy, which comes out towards the end of every month.